Pompano Beach attorneys Frankl & Kominsky understand how painful the loss of a loved one is. This pain is intensified when the death is caused by someone else, known as wrongful death. Wrongful death compounds the emotional distress from the loss of a loved one, and can also have financial hardship. Sometimes, there is a period of pain and suffering and medical expenses before the wrongful death. Frankl & Kominsky has successfully represented numerous Pompano Beach families in wrongful death cases. At Frankl & Kominsky, we understand that no settlement or verdict will replace a lost loved one, but we will work diligently to help families gain the legal remedies they deserve. A wrongful death claim or a wrongful death suit is a civil suit that can be filed when one party causes the death of another person. Florida statutes, which govern situations in Pompano Beach, state that the estate of a deceased person may bring a wrongful death civil suit if a person's death, "is caused by the wrongful act, negligence, default, or breach of contract" of another person or entity. The suite seeks damages stemming from those wrongful or negligent actions. Florida statutes allow the deceased person's spouse, children, or any blood relative or adoptive sibling who is "partly or wholly dependent on the decedent for support or services." Under most circumstances, Florida requires the estate to file a wrongful death suit within two years of the date of death. 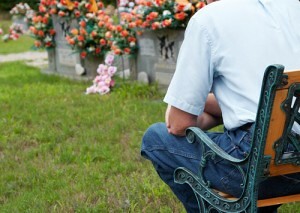 There are multiple causes of wrongful death in Pompano. They include accidents such as car accidents, truck accidents, motorcycle accidents, or bike accidents. Products liability can also cause wrongful death, such as when a manufacturer produces a faulty product or when it fails to warn about dangers. Medical malpractice by doctors, surgeons, or other health professionals can cause wrongful death in a medical situation. Wrongful death can also occur due to premises liability, including slip and fall situations or other negligence. No financial compensation can replace a lost loved one, but damages can help mitigate the financial burden caused by wrongful death. Surviving family members can received compensation for medical and funeral expenses, as well as lost financial support due to the wrongful death. Other damages can include compensation for the loss of the likely future value of the estate, love, companionship, safety, and moral support. Florida statute specifies the type of damages Pompano family members can receive, depending on their relationship with the deceased individual and the level of support the deceased individual provided to the surviving family members. The wrongful death attorneys at Frankl & Kominsky have extensive experience in representing families dealing with wrongful death. These cases are complex, often involving numerous individuals and entities, and require competent, experienced legal representation. Frankl & Kominsky has worked with numerous Pompano Beach wrongful death cases and provides families comprehensive legal support in efforts to receive justice. Our lawyers represent clients throughout South Florida, including Pompano Beach, Boynton Beach, and West Palm Beach. If you have lost a loved one due to the actions of another individual or entity, call us for a confidential consultation, at (855) 800-8000, or contact us online. We speak Spanish and Creole.